FTFD is now using SignUp.com to register for car seat inspections. Seat Installations are now being scheduled via SignUp.com. If residents have trouble signing up or do not have access to internet, have them contact FF/Medic Fromeyer for further assistance. 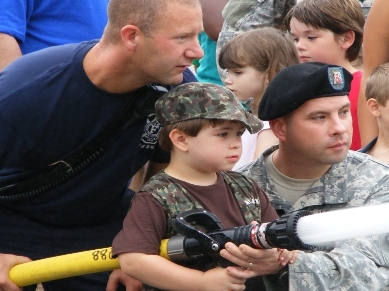 The fire department assisted the Army Reserve 478 Engineering Battalion with their family day. We wanted the day to be educational but fun. 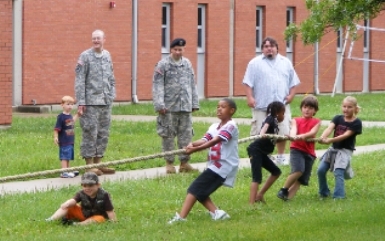 Tug -O-War challenges for the kids and adults were a huge success. 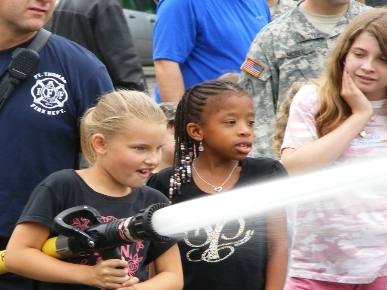 The kids performed the team relay race in firefighter gear and provided much amusement. The final event for the kids was to use a fire stream to knock a softball off of a cone. Everyone enjoyed the day. practices, the sound of alarm and means of escape. 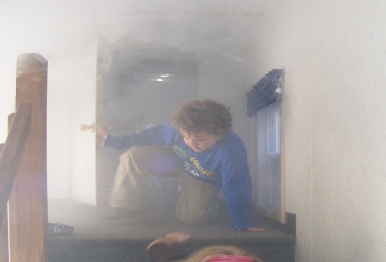 The highlight of this tool is the ability to fill the area with simulated smoke and have the occupants practice crawl low to an exit and escape as we have discussed. This provides the ultimate in learning experience. This equipment owned by the Campbell County Firefighters Educational Association trained approximately 500 persons in Fort Thomas in 2009. 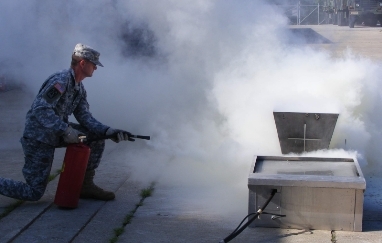 The CCFEA provides all maintenance and insurance for this mobile training aid. 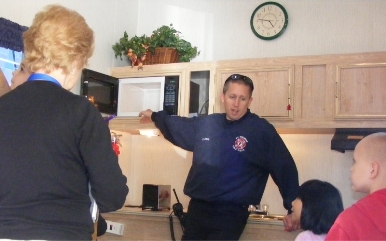 All departments are asked to do is fuel the truck and clean the house on return. This is an excellent cooperative project among all fire departments and the Campbell County Fiscal Court. 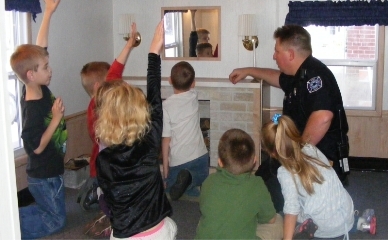 The department provides fire extinguisher training on request. 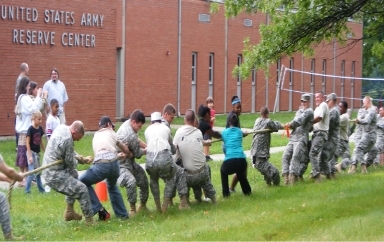 Shown is a class at the Army Reserve 478 Engineering Battalion. The fire prop is a propane powered simulator with safety shut offs in the event of any problems with students or equipment.